Elsa helps keep your drink hot, despite it going against her natural proclivities. This Disney Frozen Elsa Let it Go 24 oz. Soup Mug features an image of Snow Queen Elsa on a snowflake background with the words, "Let it go." 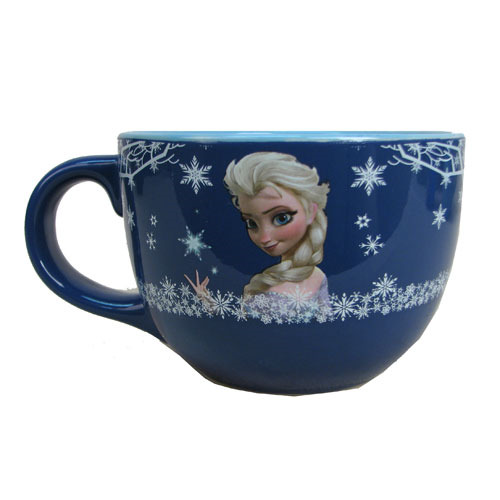 Able to hold up to 24 ounces of liquid, this great mug is a must-have for Disney Frozen fans! Hand wash only. Not dishwasher safe. Do not microwave. Measures 4-inches tall and 5-inches in diameter. Ages 14 and up.